He’s an unlikely fashion icon, that’s for sure, but Bernie Sanders reacted Sunday to Balenciaga’s latest menswear collection — in which he features as a muse. 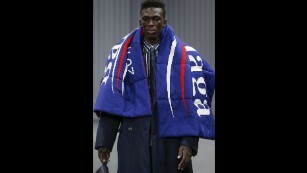 A model walks the catwalk at the Balenciaga winter fashion show in Paris. 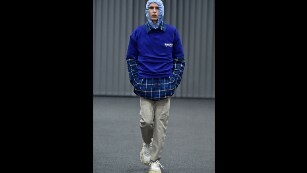 A model walks the runway during the Balenciaga menswear show as part of Paris Fashion Week on January 18, 2017. “I think, of my many attributes, being a fashion maven is not one of them,” he laughed. The fashion world clearly disagrees.